Download "How-To Guide: Email Marketing (Part II)"
3 Getting Started - An Overview This guide will help you complete your first marketing campaign from start to finish. We ll cover: Content: Design your first newsletter from scratch. 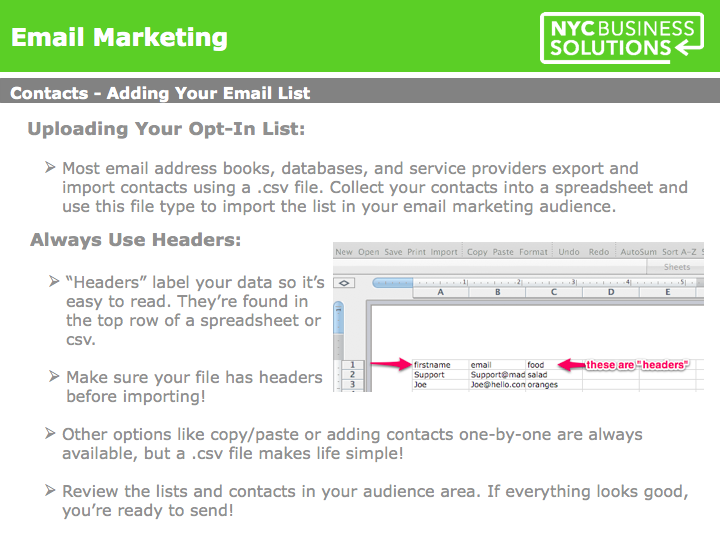 Contacts & Sending: Upload your list and send out your mailing. Analytics: Track your and understand the results of your campaign. Maintenance & Growth: How to continue your marketing regularly. Before you read on, make sure you re registered with a reputable marketing service. Search reviews online to find the right service for you. Most providers offer a free option to help get you started. 4 Content - Creating Your What You ll Need: Banner or logo - 590px wide, any length you want, but 200px works! Text & Images - Draft text on a single topic like an upcoming sale and find a few images to compliment your words. If you can t think of anything, just use placeholder text for now. Layout & Content: Look at major blogs and publications for design inspiration. Those layouts translate well to . Most include a main title, an article heading, a teaser and then some text. Keep it simple! 5 Content - Creating Your Designing Your Theme A theme is your s style. Depending on the service, it may go by another name (i.e. template) but it always consists of basic components: The color of your backgrounds, borders, your font styles, sizes, and colors. 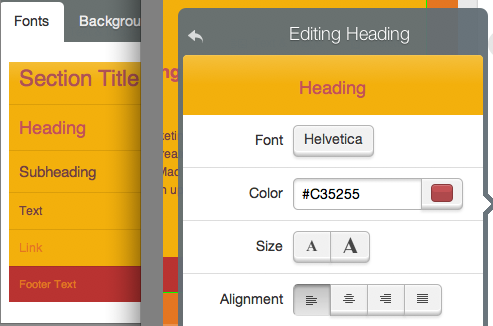 Most services offer pre-designed themes, or the option to customize your own. Create or choose a theme that matches your brand or enhances your newsletter message. Styles from your website or banner usually work well. Once you re happy with your content and styles, save the template. We ll return to content in a moment. Now it s time to focus on your list! 9 Analytics - Understanding The Basics Marketing Stats: Now that your is sent, it s time to track how each contact received your mailing. The big 3 stats that best indicate the success of your campaign are: 1. Opens/Views Contacts that viewed your . Aim for a view rate between 10%- 25%, that s the average for marketing. 2. Clicks Contacts that clicked a link in your . This total is typically smaller than your view rate. Always place links visibly in your to drive traffic to your website! 3. Opt Outs Contacts that unsubscribed. It s normal for your list to lose subscribers over time (you re gaining new contacts too), however, if you see above 0.5% in unsubscribes, review your list and content. 10 Maintenance - Using Stats To Keep A Healthy List Other Stats: Bounces: Contacts that were not successfully reached. The specific reasons behind the undeliverable address depend on the bounce type. Your service provider will help you manage these automatically. Abuse Rates: Contacts that marked your as unsolicited. Your service provider will also help you manage these contacts. Clean Your List Based On Reader Behavior: Add all contacts that view an during a certain time frame, like 6 months, into one big list. Offer these regular readers special rewards, or promotions. Add all contacts that did not view an during that time frame to a second list. Send a special asking these contacts to re-opt in. Try to get their attention and if that doesn't work, remove these addresses from your list. A contact that hasn t viewed an in 6 months probably isn't interested in the next either. 11 Growth - Sign-up Forms The best way to grow your list is with a sign-up form, or webform, on your website. 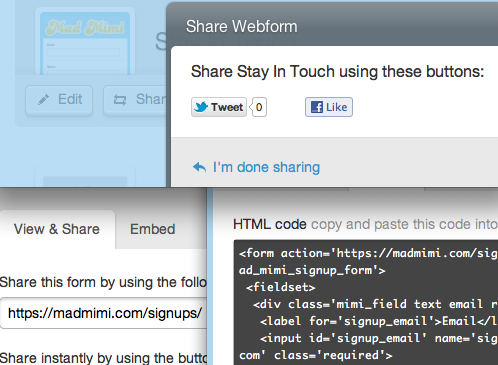 A good service will offer simple form building tools with a variety of options to help share your sign up form on social sites or embed code directly to your website. Sign-up Forms On And Offline: If you run a brick and mortar business, or participate in a live event, you don t have to go digital to grow your list. Use a paper sign-up sheet and input the contacts into your marketing list later. It s also a nice idea to offer a free ebook, or another giveaway for new subscribers. Most providers have auto-responder tools to help with this process. 12 Maintenance - Sending s Regularly When You Don t Have Much Time Congrats, you now understand the basics of marketing! We ve Covered How To: Create, send, and track s. Grow and maintain your list How To Continue On Your Own: Work with what you ve got - Use your first as a template. Duplicate the original , then simply update the existing format with new content. Maintain a schedule - Take advantage of your service s scheduling tools. Pick a regular interval for sending (like monthly) then stick with it. Give yourself room to change everything - The more s you send, the more you ll understand what works best for your business and your customers. Use the knowledge to evolve your marketing strategy! 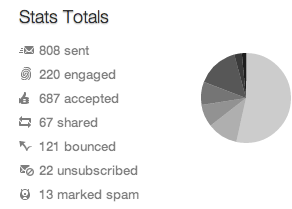 Email Marketing Send beautiful email campaigns, track the results and manage your subscribers. For further information, call 01202 232839 or email info@europastudio.co.uk Copyright 2004-2012 Europa Studio. + Email Newsletters + This session will cover: Concepts: 1. 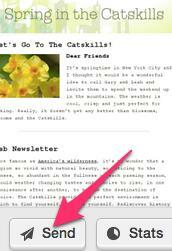 Bulk email and newsletters 2. Email marketing plan Welcome! Foundations of Communications Emily Pitts Ennis, CAES OIT 3. Subscription lists 4. Our Design Genius will walk you through the styling process and help you make your campaigns match your brand s look and feel. Table of Contents. What is ProSite? What is Behance? How do ProSite & Behance work together? Get Started in 6 Easy Steps. The Beginners Guide Table of Contents 03 04 05 06 34 35 What is ProSite? What is Behance? How do ProSite & Behance work together? Get Started in 6 Easy Steps See Live Examples Need More Help? What is ProSite? Contents 01 02 03 04 05 06 08 09 10 11 12 13 Introduction Vital statistics Setting a plan Design tips Content tips Email layout explained Common mistakes 10 email commandments Why use professional software? BECOME ONE OF THE ELITE! Pinterest has to be one of my favourite Social Media platforms and I m not alone! Not Your Mother s email. Presented by: Joseph G. Scott, MAS VP Scott & Associates, Inc.
TABLE OF CONTENTS. Creating an Account Why Use enewsletters. Setting Up an enewsletter Account. Create/Send Logging In. If you have signed up for a free trial and want some guidance on the next steps, check out our Quick Start Guide. 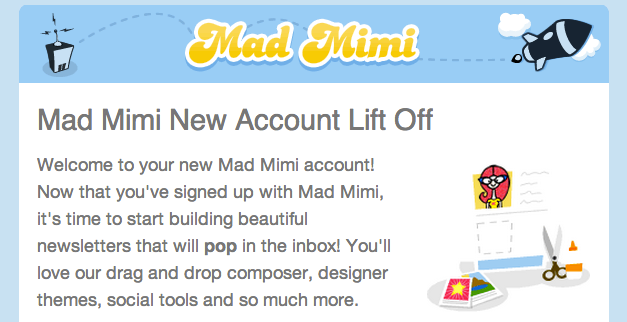 Landing page copy. Web design & Development. Tagline: Heading 2: Sub-text: Page copy: +353 1 557 13 21 hello@friday.ie www.friday. A quick guide to... 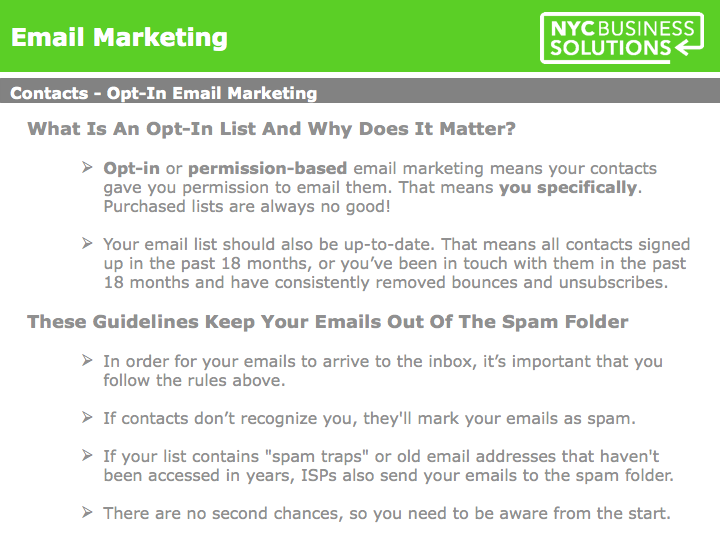 Permission: Single or Double Opt-in?